Love simulation and management games? Take a look at some of the best games in the genre for PC. 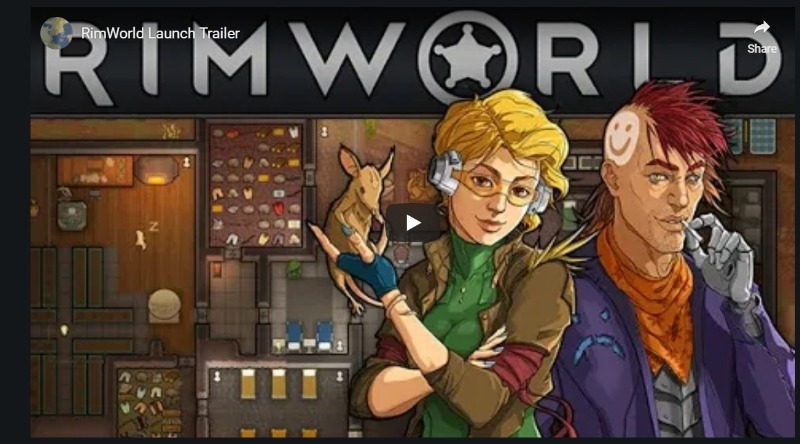 Whether you love running your own shop or managing a whole colony on an alien planet, there’s a simulation game for you below. Rimworld is a colony management simulation that gives players five colonists and a barren landscape to shape into a new colony. The game borrows heavily from Prison Architect and Dwarf Fortress, but it brings plenty of new ideas to the colony sim genre. The developer has been working on the game for over five years, with several new systems added over the dev cycle. The game officially released in 2018 from Early Access and is easily the best simulation game you can play on Steam. Dwarf Fortress is an insanely detailed fortress simulator created by two brothers who have been working on the game for over a decade. The game has a cult following, but it is notoriously hard to understand due to the ASCII graphics. An updated graphical version of Dwarf Fortress will launch on Steam later this year that might make it more accessible. The game is free and is supported through a pay-what-you-want to the developer model, so there’s no harm in trying it out. Be prepared to learn plenty of keyboard commands and watch YouTube videos though, because you’ll need help delving into all the systems that make Dwarf Fortress tick. Prison Architect gives players an open sandbox and tells them to build a prison from which prisoners cannot escape. How players choose to achieve that goal is left up to them. Several sandbox scenarios are available to teach game basics, but sandbox scenarios are available for complete freedom. 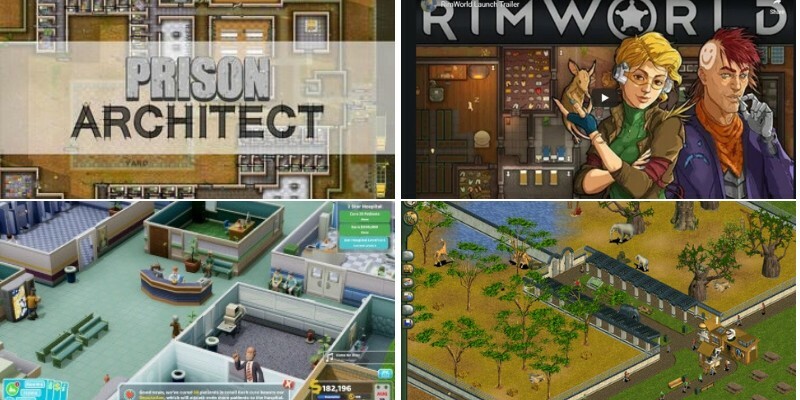 There are a variety of game modes that ship with Prison Architect, too. Think you’ve built the most secure prison ever? Play as a prisoner who is sent to your slammer and try to escape. Several modifiers included in the options can make the game more challenging. Gangs, contraband, and weapons are just some of the hazards you’ll deal with daily as you bring in prisoners. Oxygen Not Included is technically an Early Access game, but Klei Entertainment has a good history with that concept. The game draws on concepts from Dwarf Fortress, Rimworld, and X-COM’s base management. Players must establish a base on a foreign planet, managing hazards for their people while providing oxygen and other necessities. The base-building is extremely intricate and done on a 2D-plane, so you’re constantly panning around and addressing problems. Despite the Early Access model, the game has lots of features and is definitely fun to play. Klei hasn’t announced an expected release date, but 2019 seems like a good guess given the game’s current state. Lobotomy Corporation is a monster management simulation where players control a laboratory that creates monsters for testing. The developers cite the SCP series, Cabin in the Woods, and Warehouse 13 as some of their references. Gameplay wise, the interface and layout of the game borrows a lot from Oxygen Not Included. Players can pan around their secret facility and view all the experiments they are conducting. Monster experiments generate a new resource that can be used to unlock new departments and hazards. 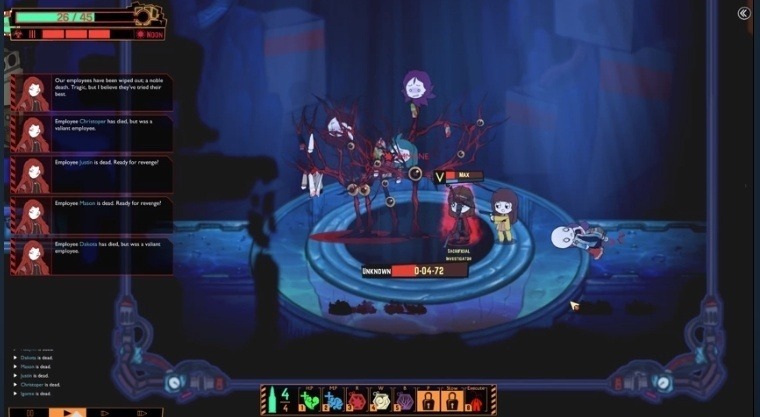 Lobotomy Corporation is as much a survival game as it is a management game. Eventually, you will encounter monsters that will turn your team against you and try to destroy all that your facility has worked to gain. 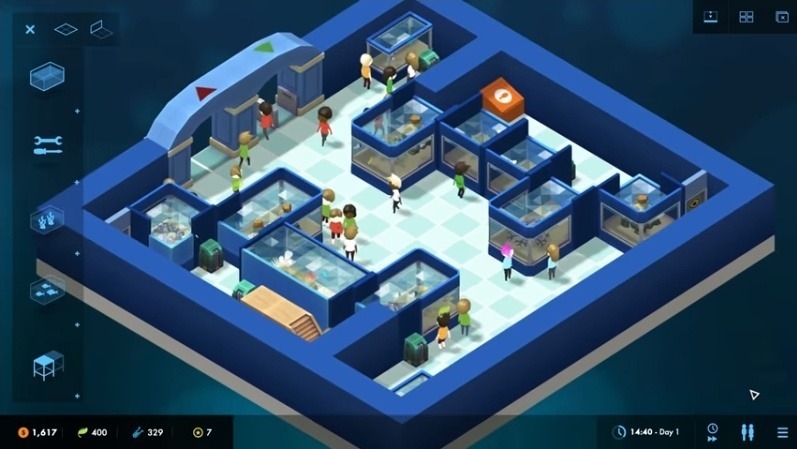 Two Point Hospital lets players take a tiny doctor’s office to a sprawling medical center. Optimize the hospital’s design to increase patient and cash flow. The game is a light-headed take on the medical industry, with illnesses like Cubism and Light-headedness. Players must diagnose illnesses, build the right rooms to handle them, hire staff, and work to cure everything from a single patient to a pandemic. 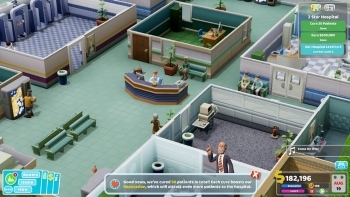 Improved cures and machines are just another aspect of running the most successful hospital you can in Two Point Hospital. Megaquarium is a theme park management simulation in the same vein as Zoo Tycoon. Players can build a sprawling marine park for guests to visit with over 100 different marine species. Fish, sharks, crustaceans, corals, jellyfish, turtles, and other animals can be on display. Players can research new animals and technology by building good habitats for starter animals. You can upgrade and expand your aquarium as you gain access to new species. Sometimes, you’ll need to hire specialized staff for these species, adding an extra layer of complexity to managing your aquarium. 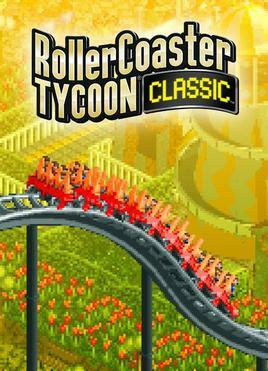 Roller Coaster Tycoon Classic is a remaster of the original Roller Coaster Tycoon that gained widespread popularity in the late 90s, early 2000s. This is the game that popularized theme park management sims, so it is worth checking out if you enjoy that aspect of any of the sim games mentioned above. The remaster has given the interface a slight upgrade, but most of park attractions and rides haven’t been altered from their original appearance. There have been many park simulators released since this one, but none have recaptured what it feels like to create a successful park in Roller Coaster Tycoon. 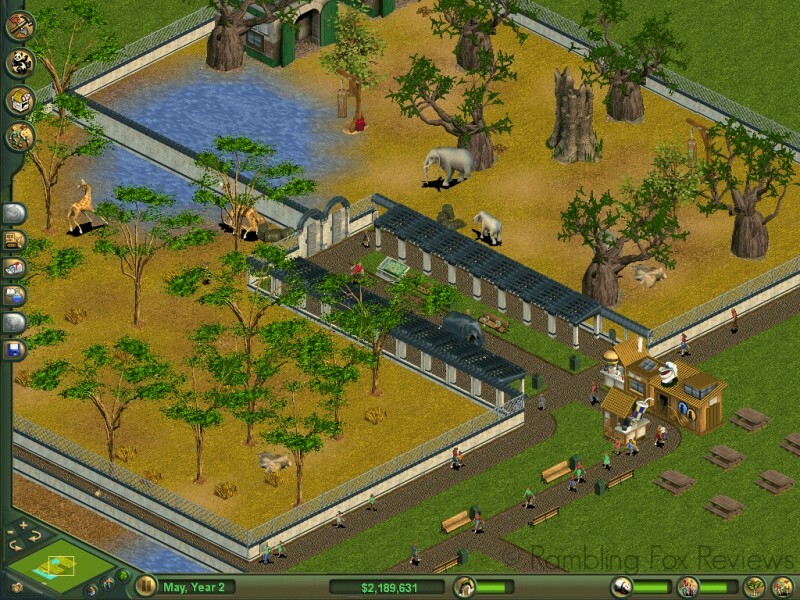 If you’re interested in managing your own zoo, you should look into the original Zoo Tycoon and Zoo Tycoon 2 games from Microsoft. A remake was released on Xbox One in 2013, but it does not capture the same magic as the original games. Players must re-create true-to-life biomes to keep over 100 animal species happy. Proper fencing and guest safety concerns must be addressed, or your animals will run amok in your park. Over 30 different scenarios are available between the first game and its sequel, which adds dinosaurs to the mix. Graveyard Keeper puts players in charge of a medieval graveyard with questionable decisions to make. You can make money on the side by selling body parts at the local tavern or dump bodies you can’t care for in the river. The game also features several resources to gather including farming, mining, lumberjacking, and beekeeping. Quests from the villagers tell a unique but macabre story. The game’s humor is also on point if you enjoy a bit of gallows humor.